The sewer lines on your property are vital to your overall plumbing system. These are lines that work to filter out waste materials that come from your home that travels either into your septic tank or out into the local sewer system. If you are in need of sewer installation in Mukilteo, our staff at Schleg Valley Construction can be there to help. All you have to do is call us and we will be happy to address any replacement or installation that you are considering. There are some property owners who believe they can tackle a sewer installation on their own. However, one small leak can let sewage make its way into your ground around your property or even into your home’s foundation. This turns into a major concern as there can be a significant amount of damage. Because of the importance of your sewer lines, you need to think about having the professionals take on the work to provide you with added assurances. 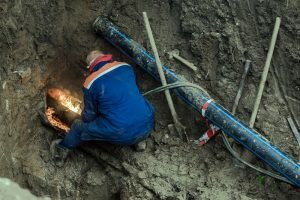 The initial step for a sewer line installation is to find out the length of the pipe that is required as well as all of the other information that factors into all of the connection points. We will gather all of this information to determine the best point of mapping for your sewer system so that you have a result that functions beautifully for your home or commercial space each day. When you work with us at Schleg Valley Construction, we will always take the precautions necessary to ensure everything is done right the first time. Our professionals are highly trained and we guarantee all of the installations that we provide. All you need to do is contact us so that we can get started on the sewer installation that you require. Schleg Valley Construction is your answer when you are looking for quality sewer installation in Mukilteo. Call (425)312-6750 for information!